Although rarely done, analyzing past predictions is a useful exercise, for example as a clue to the truthiness of the modern day oracles. Of course, one can argue that many of the political or technology predictions linked above are either random or self-serving, and thus not worth careful investigation. On the other hand, as we will see below, Rota’s predictions are remarkably earnest and sometimes even brave. And the fact that they were made so long ago makes them uniquely attractive, practically begging to be studied. Now, it has been 45 years since Rota’s article, basically an eternity in the life span of Combinatorics. There, Rota describes Combinatorics as “the least developed branches of mathematics“. A quick review of the last few quotes on this list I assembled shows how much things have changed. Basically, the area moved from an ad hoc collection of problems to a 360-degree panorama of rapidly growing subareas, each of which with its own deep theoretical results, classical benchmarks, advanced tools and exciting open problems. This makes grading rather difficult, as it suggests that even random old predictions are likely to be true – just about anything people worked on back in the 1960 has been advanced by now. Thus, before turning to Rota, let’s agree on the grading scale. To give you the feel for my curve, I will use the celebrated example of the 1899-1901 postcards in the En L’An 2000 French series, which range from insightful to utter nonsense (click on the titles to view the postcards, all available from Wikimedia). • Electric train. Absolutely. These were introduced only in 1940s and have been further developed in France among other countries. Note the aerodynamic shape of the engine. Grade: A. • Correspondance cinema. 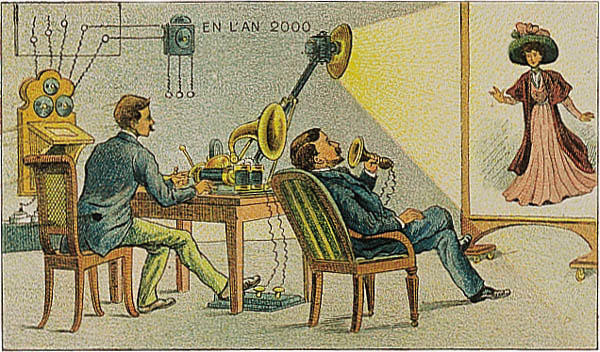 Both the (silent) cinema and phonograph were invented by 1900; the sound came to movie theaters only in 1927. So the invention here is of a home theater for movies with sound. Great prediction although not overly ambitious. Grade: A-. • Military cyclists. While bicycle infantry was already introduced in France by 1900, military use of motorcycles came much later. 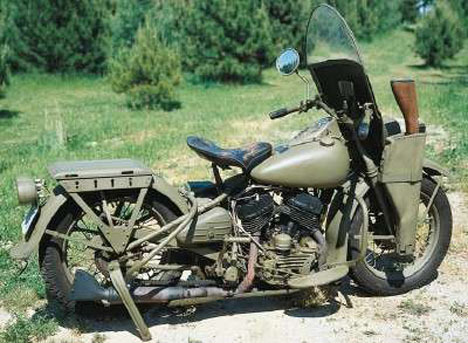 The idea is natural, but some designs of bikes from WW2 are remarkably similar. Some points are lost due to the lack of widespread popularity in 2000. Grade: B+. • Electric scrubbing. This is an electric appliance for floor cleaning. Well, they do exist, sort of, obviously based on different principles. In part due to the modern day popularity, this is solid prediction anyway. Grade: B. • Auto-rollers. Roller skates have been invented in 18th century and by 1900 became popular. So no credit for the design, but extra credit for believing in the future of the mean of transportation now dominated by rollerblades. Thus the author’s invention is in the category of “motorized personal footwear”. In that case the corresponding modern invention is of the electric skateboard which has only recently become available, post-2000 and yet to become very popular. Grade: B-. • Barber. The author imagines a barber operating machinery which shaves and cuts customer’s hair. The design is so ridiculous (and awfully dangerous), it’s a good thing this never came about. There are however electric shavers and hair cutters which are designed very differently. Grade: C.
• Air cup. The Wright brothers’ planes had similar designs, so no credit again. The author assumes that personal air travel will become commonplace, and at low speeds and heights. This is almost completely false. However, unfortunately, and hopefully only very occasionally, some pilots do enjoy one for the road. Grade: D.
• Race in Pacific. The author imagines that the public spectacle of horse racing will move underwater and become some kind of fish racing. Ridiculous. Also a complete failure to envision modern popularity of auto racing which already began in Paris in 1887. Grade: F.
Fortunately, most combinatorial problems can be stated in everyday language. To give an idea of the present state of the field, we have selected a few of the many problems that are now being actively worked upon. We take each of these “problems” as a kind of predictions of where the field is going. Here are my (biased and possibly uninformed) grades for each problem he mentions. 1) The Ising Problem. I think it is fair to say that since 1969 combinatorics made no contribution in this direction. While physicists and probabilists continue studying this problem, there is no exact solution in dimension 3 and higher. Grade: F.
2) Percolation Theory. The study of percolation completely exploded since 1969 and is now a subject of numerous articles in both probability, statistical physics and combinatorics, as well as several research monographs. One connection is given by an observation that p-percolation on a complete graph Kn gives the Erdős–Rényi random graph model. Even I accidentally wrote a few papers on the subject some years ago (see one, two and three). Grade: A. 3) The Number of Necklaces, and Polya’s Problem. Taken literally, the necklaces do come up in combinatorics of words and free Lie algebra, but this context was mentioned by Rota already. As far as I can tell, there are various natural (and interesting) generalizations of necklaces, but none surprising. Of course, if the cyclic/dihedral group action here is replaced by other actions, e.g. the symmetric group, then modern developments are abundant. But I think it’s a reach too far, since Rota knew the works of Young, MacMahon, Schur and others but does not mention any of it. Similarly, Polya’s theorem used to be included in all major combinatorics textbooks (and is included now, occasionally), but is rarely taught these days. Simply put, the g.f. implications haven’t proved useful. Grade: D.
4) Self-avoiding Walk. Despite strong interest, until recently there were very few results in the two-dimensional case (some remarkable results were obtained in higher dimensions). While the recent breakthrough results (see here and there) do use some interesting combinatorics, the authors’ motivation comes from probability. Combinatorialists did of course contribute to the study of somewhat related questions on enumeration of various classes of polyomino (which can be viewed as self-avoiding cycles in the grid, see e.g. here). Grade: C.
5) The Traveling Salesman Problem. This is a fundamental problem in optimization theory, connected to the study of Hamiltonian cycles in Graph Theory and numerous other areas. It is also one of the earliest NP-hard problems still playing a benchmark role in Theoretical Computer Science. No quick of summary of the progress in the past 45 years would give it justice. Note that Rota’s paper was written before the notions of NP-completeness. In this light, his emphasis on algorithmic complexity and allusions to Computability Theory (e.g. unsolvable problems) are most prescient. So are his briefly mentioned connections to topology which are currently a popular topic. Well done! Grade: A+. 6) The Coloring Problem. This was a popular topic way before Rota’s article (inspired by the Four Color Theorem, the chromatic polynomial, etc. ), and continues to be even more so, with truly remarkable advances in multiple directions. Note Rota’s mentioning of matroids which may seem extraneous here at first, but in fact absolutely relevant indeed (in part due to Rota’s then-ongoing effort). Very good but unsurprising prediction. Grade: A-. 7) The Pigeonhole Principle and Ramsey’s Theorem. The Extremal Graph Theory was about to explode in many directions, with the the Erdős-Stone-Simonovits theorem proved just a few years earlier and the Szemerédi regularity lemma a few years later. Still, Rota never mentions Paul Erdős and his collaborators, nor any of these results, nor potential directions. What a missed opportunity! Grade: B+. Before concluding this brief survey, we shall list the main subjects in which current work in combinatorial theory is being done. Here is a list and more of my comments. 1) Enumerative Analysis. Sure. But this was an easy prediction to make given the ongoing effort by Carlitz, Polya, Riordan, Rota himself and many other peope. Grade: A-. 2) Finite Geometries and Block Designs. The subject was already popular and it did continue to develop but perhaps at a different pace and directions than Rota anticipated (Hadamard matrices, tools from Number Theory). In fact, a lot of later work was connection with with Group Theory (including some applications of CFSG which was an ongoing project) and in Coding Theory (as Rota predicted). Grade: B-. The development of decision theory has forced logicians to make wide use of combinatorial methods. There are various important connections between Logic and Combinatorics, for example in Descriptive Set Theory (see e.g. here or more recent work by my future UCLA colleague there). Note however, that Infinitary Combinatorics was already under development, after the Erdős-Rado theorem (1956). Another very interesting and more recent connection is to Model Theory (see e.g. here). But the best interpretation here I can think of here are the numerous applications to Game Theory, which already existed (Nash’s equilibrium theorem is from 1950) and was under rapid development. Either way, Rota was too vague in this case to be given much credit. Grade: C.
4) Statistical Mechanics. He mentions the Ising model again and insists on “close connections with number theory”. One can argue this all to be too vague or misdirected, but the area does indeed explode in part in the directions of problems Rota mentions earlier. So I am inclined to give him benefit of the doubt on this one. Grade: A-. In total, Rota clearly got more things right than wrong. He displayed an occasional clairvoyance, had some very clever insights into the future, but also a few flops. Note also the near complete lack of self-serving predictions, such as the Umbral Calculus that Rota was very fond of. Since predictions are hard, successes have a great weight than failures. I would give a final grade somewhere between A- and B+ depending on how far into the future do we think he was making the predictions. Overall, good job, Gian-Carlo! P.S. Full disclosure: I took a few advanced classes with Gian-Carlo Rota as a graduate student cross registering from Harvard to MIT, and he may have graded my homeworks (this was in 1994-1996 academic years). I don’t recall the final grades, but I think they were good. Eventually Rota wrote me a letter of recommendation for a postdoc position.